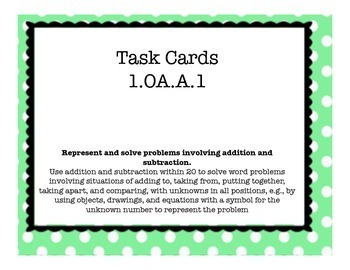 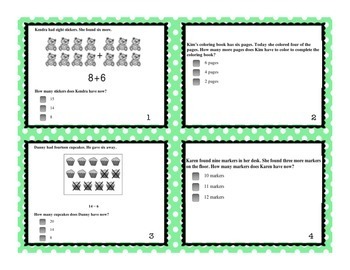 1.OA.A.1 Task Cards - 1st Grade Addition and Subtraction Word Problems! 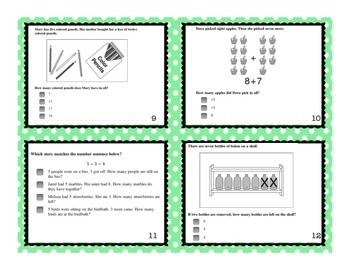 Here are 20 task cards and a recording sheet for 1.OA.A.1, addition and subtraction word problems.These could be used for math centers, projected on the board to discuss as a class, or posted throughout the classroom for a carousel activity. 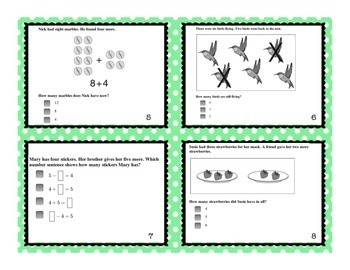 Would you like an assessment for this standard as well?